Dr. Snider graduated from McMaster Medical School in 2003, completed her Master of Public Health degree in Injury Epidemiology from Johns Hopkins Bloomberg School of Public Health in 2007 and her Emergency Medicine training at the University of Toronto in 2008. 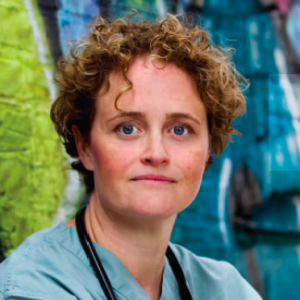 In 2016-2017, Dr. Snider has been authoring a report for the World Health Organization on the role of emergency medicine in responding to violence. Prior to moving to Winnipeg, Manitoba in the summer of 2011, Dr. Snider worked at St. Michael’s Hospital in Toronto as an emergency and trauma physician and as an injury researcher. She is the Past Chair of the Trauma Illness and Injury Prevention Committee for the Canadian Association of Emergency Physicians. Presented to a Canadian Association of Emergency Physicians member who has demonstrated exemplary leadership, commitment and dedication to the cause of advancing the discipline at the regional, national or international level through advocacy efforts. Presented to a faculty member in the Rady Faculty of Health Sciences at University of Manitoba for research in health service delivery and/or health policy development. The goal of the professorship is to improve the delivery of healthcare services to rural, remote and underserved populations of Manitoba. This amount was a bridging grant from the Canadian Institutes of Health Research. Snider C, Woodward H, Mordoch E, et al.